But for an untimely pen, a spluttering candle, and a myopic historian, I would be the celebrated ‘laughing woman’. I am most certainly NOT the dreary wife of a common silk merchant. I was well acquainted with Monna Lisa Giocondo but we were never friends. And yet, she envied me as much as I despised her and all the dainty women of her class. I am galled to be misidentified as Mrs. Giocondo. Of all the insipid women…the world could not have chosen a more perfect way to insult me. A parched quill simply ran dry, and my story moved on without me. I premise the most intriguing paranormal stories are inspired by true events based on historical documents and hearsay shared freely by the people of the day in their diaries and letters. A writer’s imagination fills in the missing DNA. 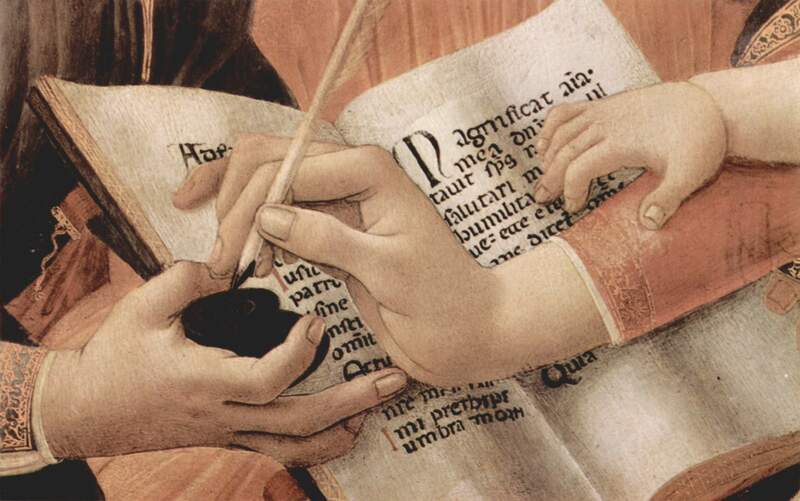 A Florentine census from 1463 references that Caterina, Leonardo da Vinci’s mother, gave birth to six children, including a daughter named Lisabetta. Leonardo had a half-sister named Lisa! What are the odds. Coincidence? Not to a writer! Paternity was a tad fuzzy in the fifteenth-century. What if Lisabetta was the second lovechild of Caterina and Piero da Vinci… Leonardo’s full sibling with whom he had strong biological and creative ties? What if Lisabetta was the stabilizing influence for Leonardo’s erratic creative nature? The ‘Mona Lisa’s identity has several contenders. Lisa Giocondo is only one of many undocumented theories. WHAT IF the word ‘gioconda’, the smiling woman, (a reasonable description to have been attributed to the ‘Mona Lisa’), was confused with a second portrait commissioned by the ‘Giocondo’ family? History is confounded and the wrong Lisa is hailed as the ‘Mona Lisa’! What if there were two portraits painted in 1503? For 500 years, Lisabetta’s spirit is restless. After being dismissed all her life as insignificant, the final irony of having the most famous face in the world yet remaining anonymous, eclipsed by another woman named Lisa whom she couldn’t abide in real life, is too much to bear. Slighted and bitter, she demands to be acknowledged and take her rightful place at Leonardo’s side. But she’s trapped in her portrait with no apparent cause. And then she meets a boy visiting the Louvre, and ‘Saving Face’ takes on a whole new meaning. – Lisabetta, a woman who made a mistake in the past, is mistaken for the woman she slighted. She must join forces with an autistic boy in the 21st century, suffering his own version of invisibility, to overcome their parallel identity crises. WHAT IF: Leonardo da Vinci could paint the soul of a sitter into a portrait? 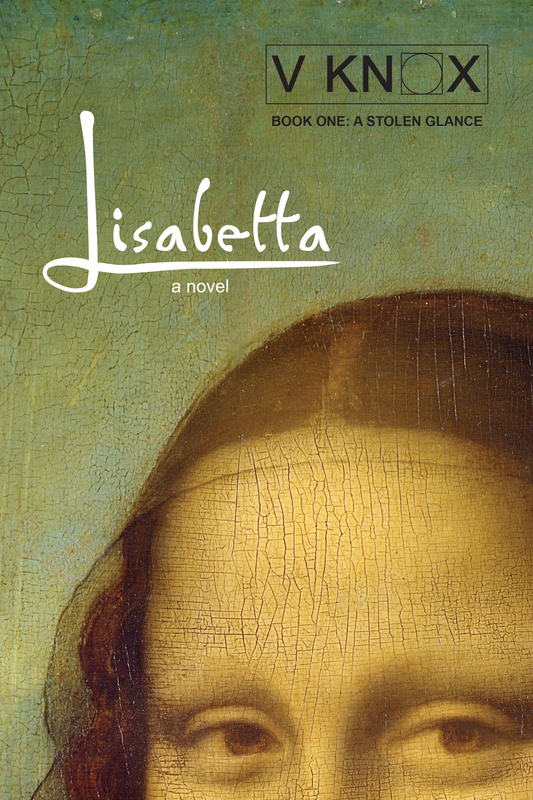 WHAT IF: the sitter for the ‘Mona Lisa’ was Leonardo’s younger sister, Lisabetta? WHAT IF: she’s still there in the Louvre after 500 years? WHAT IF: an autistic six-year-old boy is her knight in shining armor? “My name, Lisabetta Buti, was an affront to my existence. I was Leonardo da Vinci’s beloved kid-sister, his assistant and apprentice, and, for the most part, the mother he was denied. We were born six-years-apart, as close as twins, and when I was old enough to walk, my brother made me a promise that we would never be parted. And so it transpired, in the particularly vexing season of 1503, deep in financial debt, and forced to paint the dreary wife of a silk merchant, Leonardo was overcome, as in his early years, by a new quest. And with all due haste, circumstances conspired that he was able to complete the Giocondo commission early, and I was cajoled into posing for a new kind of portrait. But there, my identity crisis sprouted wings because both our names were Lisa. It was the sort of portrait only a true visionary would attempt. Leonardo believed he could capture the true essence of a human spirit in paint, and not long afterwards, Leonardo kept his promise. We remained inseparable even after my death, and I traveled with him as a living icon painted on a small panel of poplar wood – his sentient companion to the end of his days. But as time progressed, a further humiliation was heaped upon my portrait by the title ‘La Gioconda’ (the smiling woman)– I have endured this mistaken identify for 500 years, and it’s time to end the nonsense. I am the Mona Lisa! 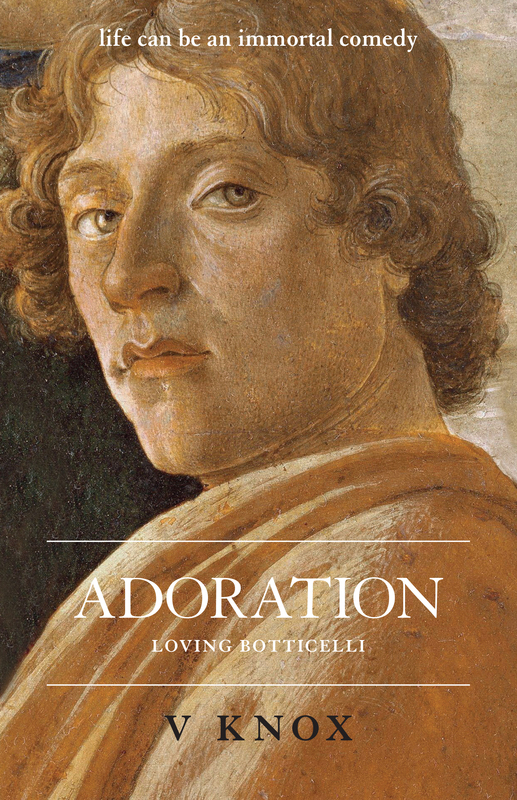 This entry was posted in Andrea Verrocchio, art history, Books, fantasy, Fine Art, Florence, Florence. Italy, Historical Fantasy, Historical Fiction, Italian renaissance, Italy, Leonardo da Vinci, literary fiction, Lost Paintings, magical realism, paranormal romance, REINCARNATION, romance, Sandro Botticelli, Silent K Publishing, supernatural, the 'Mona Lisa', time travel, V Knox, V. Knox author and tagged Andrea Verrocchio, art history, ghosts, historical fantasy, historical fiction, Italian renaissance, Leonardo da Vinci, Lisabetta Buti, lost paintings, love story, Mona Lisa, paranormal romance, reincarnation, Sandro Botticelli, Silent K Publishing, supernatural, time travel, time travel fiction, time-slip adventure, V. Knox author, veronica knox artist, Veronica Knox author. Bookmark the permalink.